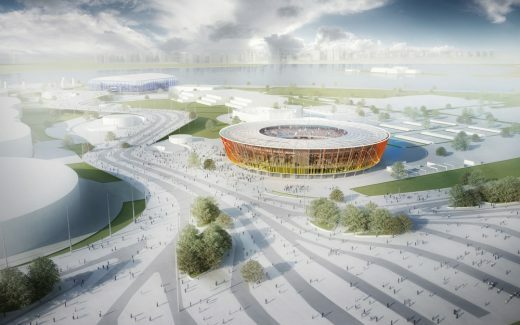 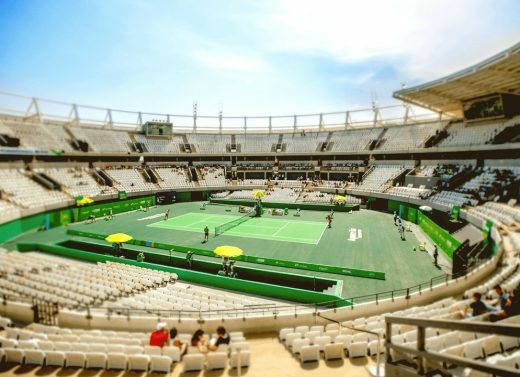 schlaich bergermann partner, together with gmp Architekten, has won a public tender for the development of the complete executive projects of tennis facilities for Rio Olympic Games 2016. 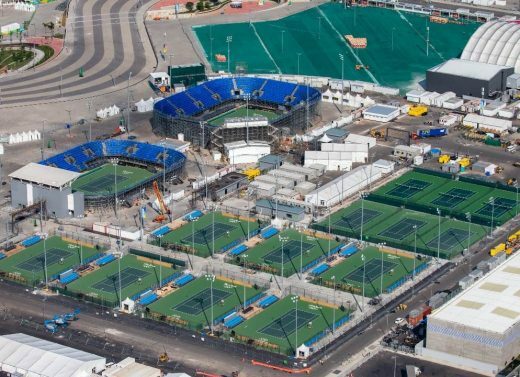 The tennis complex is comprised by a permanent arena with 10.000 seats, two temporary arenas with respectively 5000 and 3000 seats and open-air training courts. 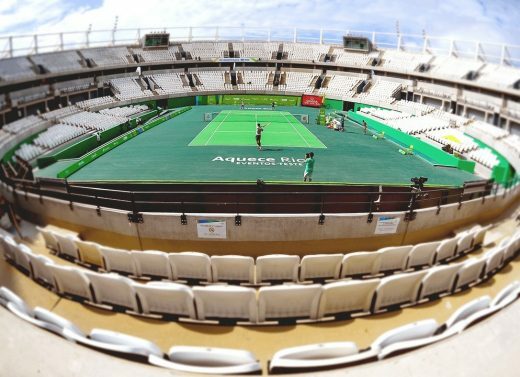 The main arena layout consists of circular stands in monolithic concrete over a structured slab with braced radial raker beams that support the precast elements of the sitting area. 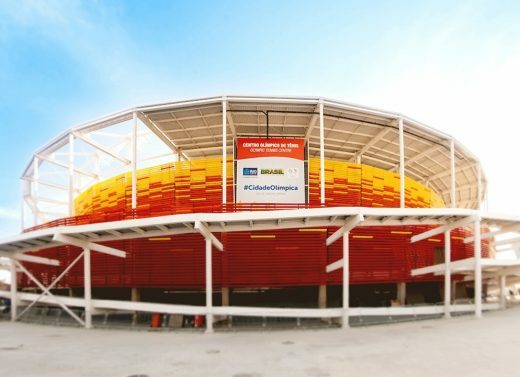 A circular roof is disposed over 100% of the seats and is supported by a steel structure with columns and radial beams system, covered by a double layer insulated metal cladding. 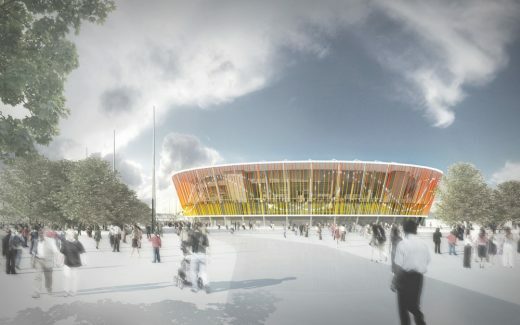 An interesting façade creates the outer envelope of the main arena and protects the external concourses, making use of a set of vertical steel tubes in a chromatic arrangement that grants to the building a dynamic effect.